Reducing one’s meat consumption is no longer just an animal-rights issue; through movements like Meatless Monday, it’s become an environmental one as well. People who abstain from meat now have the leg up on us carnivores in terms of personal health, kindness to animals, and planetary do-goodness. Goddammit. But carnivores might be able to make inroads in the eco-friendly category, if Swedish chain Max Burger and its “climate-positive” burger have anything to say about it. 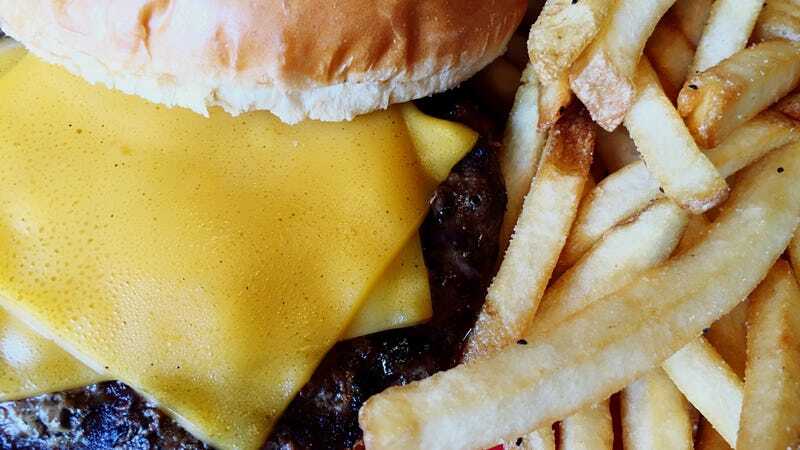 Fast Company reports the restaurant chain wants to create the first burger that’s actually good for the earth, by planting trees to offset 110 percent of the carbon used to run the business. It’s in line with the company’s emphatically green message; years ago, Max Burger evaluated the carbon footprint of its company, and even went so far as to label the climate impact of each item on its menu. It’s also increased the number of vegan or plant-based choices on its menu, Fast Company reports. The hope with the new “climate-positive” burgers is that each burger sold at Max’s 120 locations around the country is not just climate-neutral, but actually represents carbon being removed from the air through the planting of trees in Mozambique and Malawi. Alright, so you ordered the “climate-positive” burger and feel pretty damn smug about your choice. But wait, did you drive your car to the restaurant? Shame! Carbon emissions! Shame! Max Burger already thought of that, though, hence the 110 percent rather than 100 percent carbon offset; the restaurant says it chose that number to compensate for the emissions generated by customers traveling to their locations. Damn, they really did think of everything. All this eco-love doesn’t seem to be taking a financial toll on the burger company, either. According to its franchising packet, Max Burger is the most profitable restaurant chain in Sweden, surpassing McDonald’s and Burger King, who are not yet planting trees in Malawi.